As Motorcycle Live 2017 has come to a close we look back at a very successful show, whereby we displayed what many described as our best stand yet! 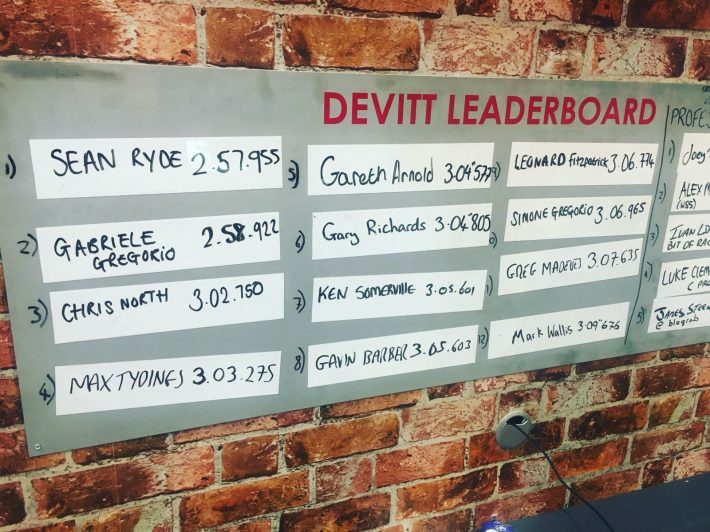 The show, which saw 107,072 bikers through the door was a great opportunity for us to meet passionate bikers and give everyone a chance to get to the top of the Devitt Leaderboard. The opportunity to play the Isle of Man TT game before its official release and complete Sections One and Two of the course in the fastest time attracted many to our stand. Well done to all that managed to get their name on the board! As well as the game, we had a great range of bikes attracting people to the stand, ranging from Ivan Lintin’s Kawasaki Supersport from all of 2017 road races to the Rollin’ Thunder custom Harley Davidson and a very impressive customized 1978 Kawasaki Z1000A1! As well as this varied range of bikes, Ivan’s TT leathers could be seen hanging from the wall, while Dean Harrison’s helmet was on the stand for all to see. There was plenty of action spread across the 4 halls at the NEC including the impressive Triumph stand with the new Moto2 GP being showcased exclusively to a British audience giving us all a taste of what’s to come for next year’s racing season! We also got the chance to check out the fantastic Arenacross who pulled out all the stops for a thrilling free performance for the crowds. We would like to thank everybody that visited our stand this year, whether it was to play the game, get a quote, or simply appreciate the bikes on show, it was great to see and speak to so many great bikers!